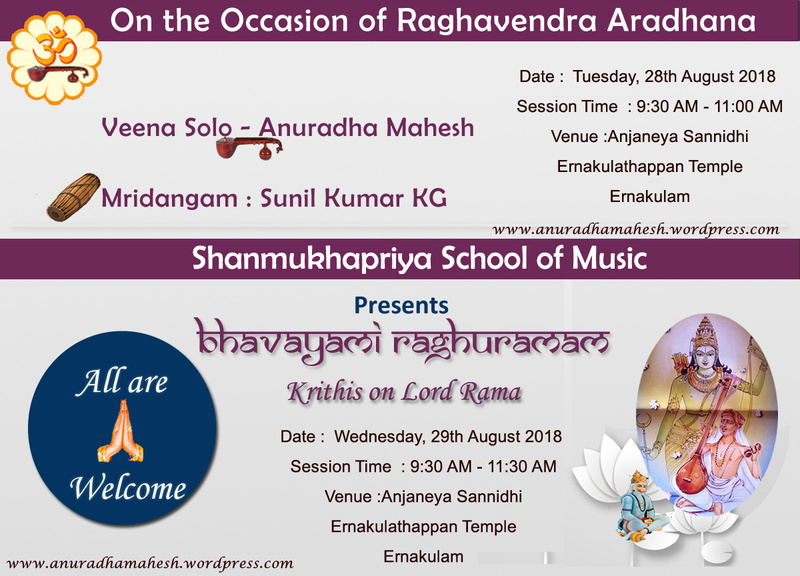 A two day programme by Shanmukhapriya School of Music is coming up as per the following brochure. Your Esteemed Presence is Solicited. All are Welcome.